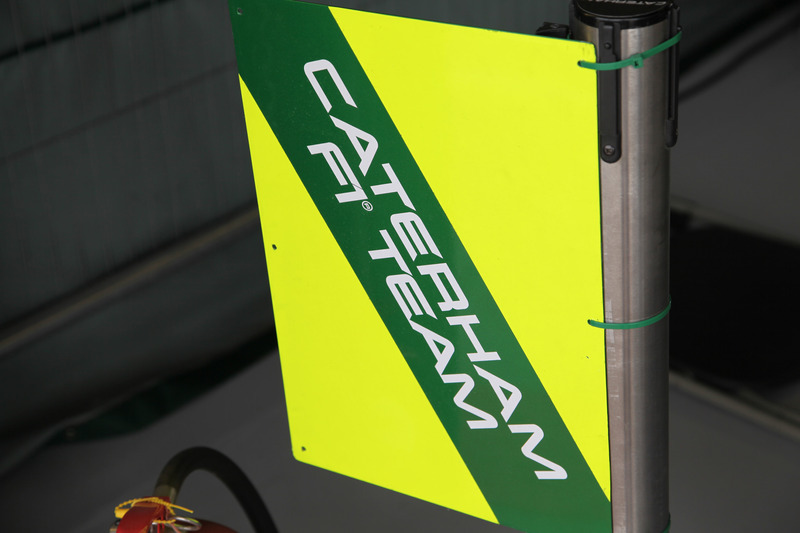 Caterham have moved to rubbish rumours that their Leafield factory has been seized by bailiffs. Reports of the seizure broke on Twitter just before 4pm British time, with some accounts claiming that staff were being ordered to disconnect servers and leave the premises, while equipment was being seized by bailiffs. There was no official word for five hours before Caterham released a statement rubbishing the “unfounded and unsubstantiated rumours” about action against them or 1MRT, Caterham’s owner. “Also contrary to uncontrolled rumours, all operations are currently in place at Leafield and the race team is doing its preparation in Japan.” the statement concluded. Although a genuine company, the verity of the auction is yet to be confirmed. Caterham was abandoned by founder Tony Fernandes in July, who cut his losses after four years of uncompetitive performances, selling the outfit to a mixture of European and Middle-Eastern investors. Financial trouble was reported at the team almost immediately and new Team Principal, Christijan Albers, left the team shortly after taking the position. Further trouble was signalled when rumours came to the surface that Pirelli were threatening not to supply the team with tyres for this weekend’s Japanese Grand Prix unless they received a quick payment from the cash-strapped team. For now, the team say they will race this weekend, where driver Kamui Kobayashi is to drive in front of his home crowd. While they may drive in this weekend’s race, Caterham’s position in Formula One next season is looking ever less stable. Image courtesy of Caterham F1 Team. The winner crosses the finishing line, the top three drivers celebrate on the podium and TV crews turn the cameras off an hour or so later. For me and you that’s all she wrote – the end of a Grand Prix weekend. But while we find things to do to occupy the painstaking wait until the next Grand Prix, men and women from every team are still working hard to clear their equipment and mobile homes and move them to the next track or back to the factories. The work never stops for these guys whose focus shifts immediately to the next race. In this video, Red Bull Racing give us a behind the scenes look at what happens 24 hours after a race, including a really cool insight to the RBR factory in Milton Keynes. 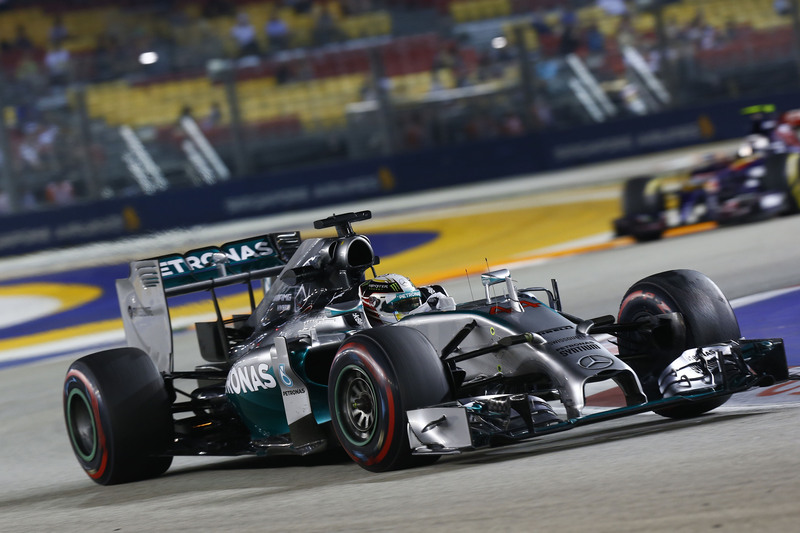 Lewis Hamilton took pole at the Singapore Grand Prix, mere miliseconds ahead of his team-mate, and front row companion, Nico Rosberg. Suffering a time loss due to a lock-up at turn 1 on his flying lap, Hamilton was behind Rosberg after the second sector, leaving it to a strong third sector to secure his sixth pole position of the season. Rosberg, who felt that he had done enough to start from the front, responded only with “dammit” when his team informed him of the qualifying results. But although they started from the front of the grid (for the seventh time in fourteenth Grands Prix), their early-season dominance was nowhere to be seen as they fought off challenges from Daniel Ricciardo who was looking to take his first pole position in front of huge numbers of Australian ticket holders in Singapore. The cheer from the crowd when Ricciardo took provisional crowd was so loud, it blocked out the sound of the cars and goes to show the popularity of the two-time race winner. His team-mate, the four-time World Champion Sebastian Vettel continued what has now become the norm as he qualified behind the other Red Bull car. Fernando Alonso will start tomorrow’s race from fifth on the grid, a position he has occupied thirty-four times in his career, more times than anyone else. Although Alonso stood as Mr Singapore for several years due to his apparent stronghold over the circuit, he could not challenge the Mercedes or Red Bull drivers, all of whom start ahead of him. Meanwhile, Alonso’s team-mate, Kimi Raikkonen, was looking particularly strong and topped the opening qualifying session. Looking threatening to Mercedes, he went out in Q3 only to lose power mid-lap and crawl back to the pits, meaning he will start the race from seventh. Massa and Bottas also looked like they could put in a genuine challenge for the front row, but, although Massa was the fastest driver after the first flying laps, they finished down the order; Massa sixth and Bottas eighth. Jenson Button missed out on Q3 by only .017s and admitted to locking up during his lap. Romain Grosjean put no foot wrong but still missed out, qualifying twelfth and venting his frustration with the team after climbing from his cockpit. Sutil blamed an apparent lack of power for being knocked out in Q1 while Pastor Maldonado offered no excuses for not making it out of the first session. 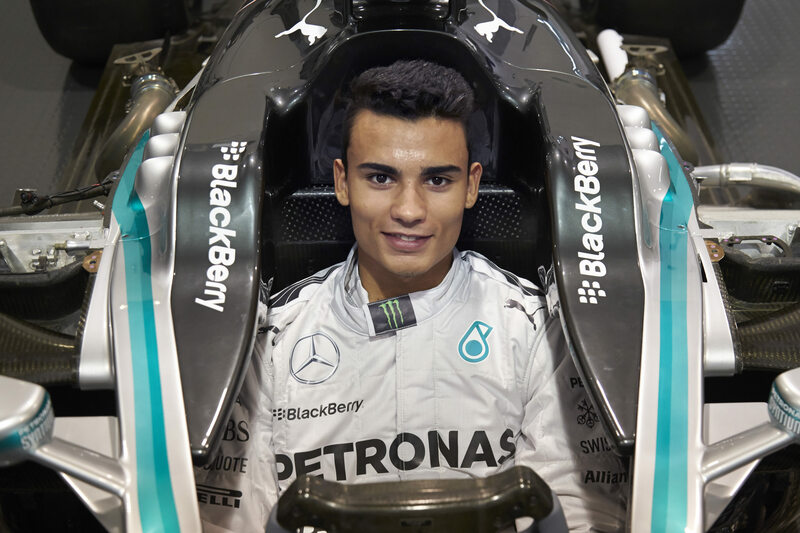 DTM driver Pascal Wehrlein has been appointed as the reserve driver for Mercedes, the team announced today. The 19-year-old German became the youngest race winner in DTM history yesterday when he drove to victory from pole position in a rain-affected race at the Lausitzring. His appointment does not come without F1 experience, however, as he has clocked up an impressive 12,000km in the Mercedes simulator, the equivalent of roughly fourty Grands Prix. He also drove Mercedes’ 2012 challenger, the W03, at a test drive at the Autodromo Internacional Algarve last Thursday. He drove over 500km during the test which surpasses the 300km minimum experience a driver must have before being eligible for the FIA Super License, a mandatory racing license to compete in a Formula One race. “Pascal has a bright future ahead of him,” Toto Wolff, the Head of Mercedes Motorsport said. “And we are excited to have him onboard for what will be an intense conclusion to the Formula One season. Wehrlein’s appointment will inevitably give fire to rumours that one of Mercedes’ drivers, most likely Lewis Hamilton, will leave the team at the end of the season. There has been tension between the Mercedes drivers since their fight at the Bahrain Grand Prix and subsequent falling out which peaked at the Belgian Grand Prix where Rosberg hit Hamilton during an over-ambitious overtake attempt and caused the Briton’s retirement from the race lead. Hamilton took victory two weeks later at the Italian Grand Prix following a mistake by Nico Rosberg which saw him go off-track at turn 1 and lose the lead, although he still holds a 22 point lead over Hamilton with six Grands Prix remaining.